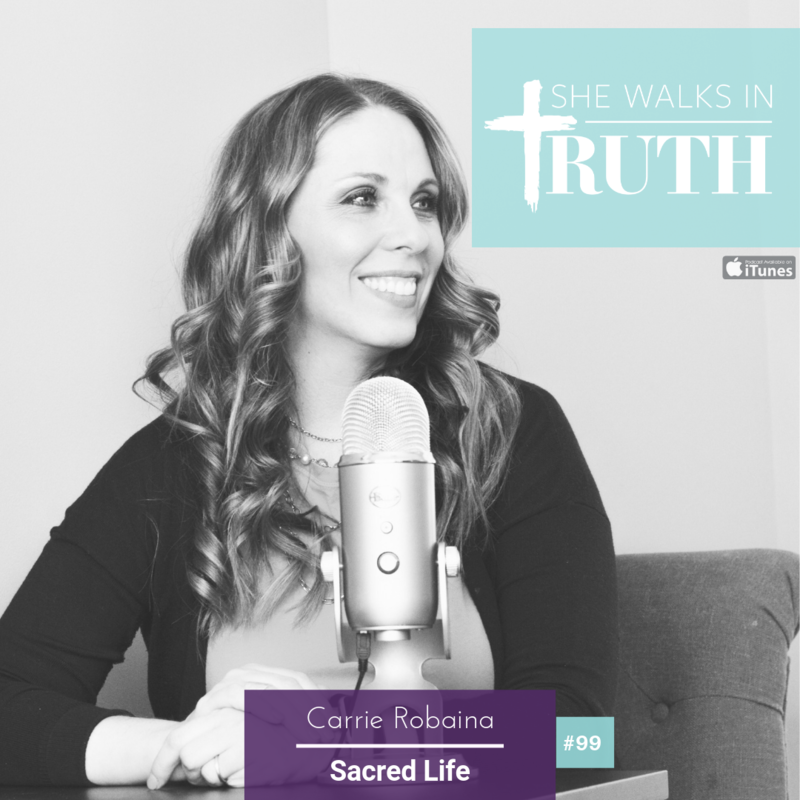 Carrie Robaina on She Walks in Truth talks on Sacred life, sharing about her past experience and current convictions with pregnancies and abortions. In a deep humility, Carrie shares her heart with hope that it will bring freedom to listeners and empower the She Walks in Truth community to be the hands and feet of Jesus to those hurting in this world. 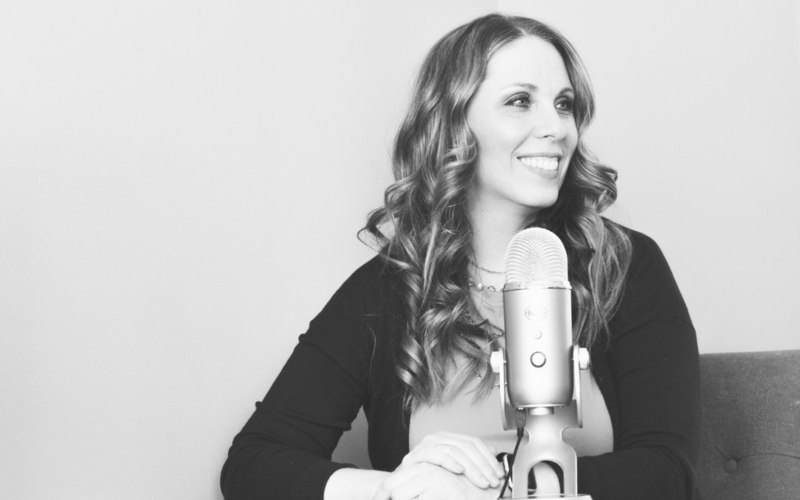 Pure Intentions (3:50) Carrie shares that her heart for this podcast episode today is to shed light and have a mature, spiritual conversation in regards to the sensitive topic on pregnancies and abortions. New York Abortion Act (5:00) Carrie shares her perspective on New York’s recent law passed on abortions. Difficult Choices (7:00) In their very first pregnancy, Carrie and her husband Ricardo found out the child was growing outside the uterus of the womb. They were faced with a difficult choice of forcing a miscarriage or risking her life. Light in the Darkness (13:15) While performing at the Christmas show, the physical effects of the miscarriage took place. Though it was extremely challenging, there was a peace that transformed understanding. God Sees You (15:00) Even if you are in a dark hour right now, Carrie encourages listeners to look for the bright spot. God is there with you. Seasons of Pain (18:00) There was a wave of sorrow and grief that affected Carrie and still does at times. She is comforted knowing that every single born and unborn child is known by God. Threads of Hope, Pieces of Joy Book (19:30) A great read for tough seasons! Freedom in Jesus (21:00) Carrie’s heart goes out to all women who have had to abort or made the decision to abort. This episode is intended to bring freedom from shame in the name of Jesus. Made For Community (24:00) We are meant not only to stand up for justice, but to also serve those who have had to make very difficult choices in their life. Carrie hopes the She Walks in Truth community can be a place where we love on those who had to abort, come alongside foster parents, singles parents, and people who have lost their babies. God’s Story (29:30) We are all part of God’s story. What is you role in serving those who have had to face much difficulty in regards to pregnancies and abortions? Connect with Carrie Robaina by going to www.carrierobaina.com and give her a follow on Instagram, or Facebook.